With the Halloween season in full swing, there’s nothing like having some spooky fun with your friends in Fairfield County! Fairfield has everything you could possibly want from eerie spots to spine-tingling haunted houses. So bring your friends and get ready for some scary fun at some of Fairfield’s spookiest spots! 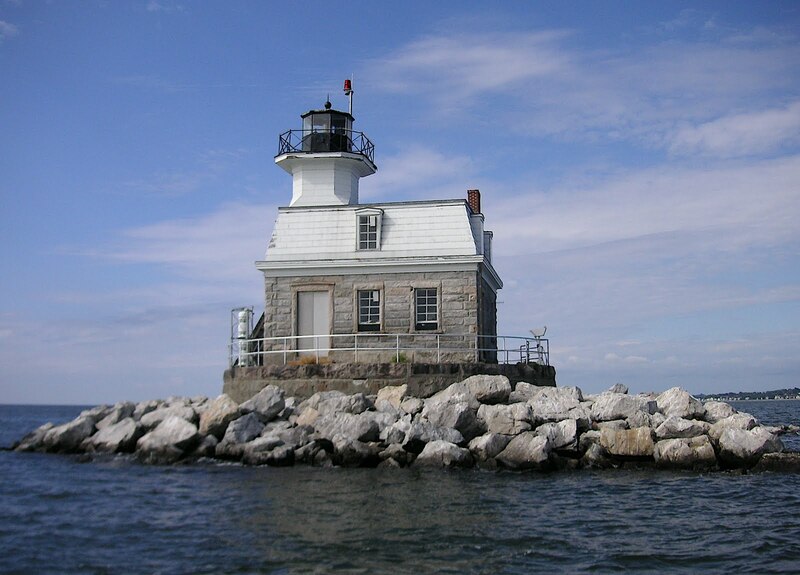 This quaint, little lighthouse is located off the shore of Bridgeport in the Long Island Sound. The waters near Penfield were known to be dangerous, which made traveling to and from the lighthouse difficult. In 1916 the lighthouse keeper was trying to return to Connecticut but the water was too rough. His attendant tried his best to save him, but the keeper’s boat capsized. His body was found three months later, but his spirit has lingered in the Penfield Lighthouse. Subsequent lighthouse keepers have heard footsteps when they were alone or seen figures in empty rooms. If you're looking for some hair-raising fun close to campus, be sure to go down to the beach and check out the Penfield Reef Lighthouse from the shore. If going to real life ~haunted~ locations isn't your speed, don't miss out on the pretend, spooky fun! 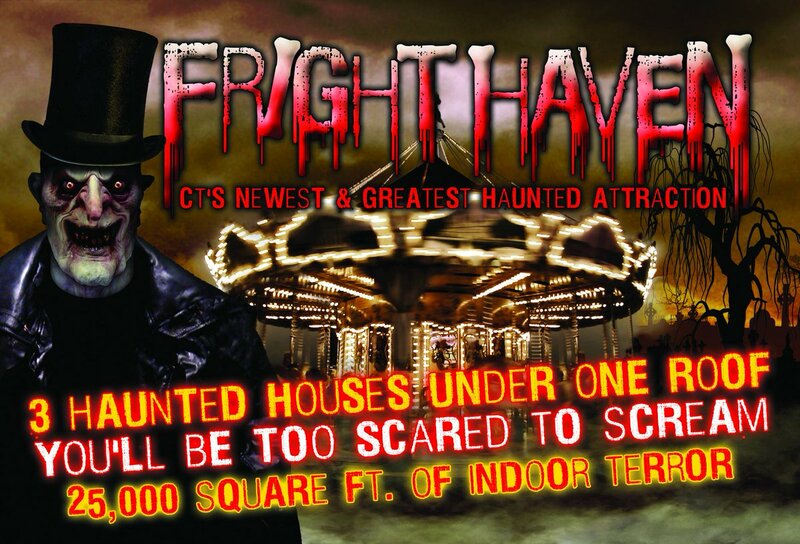 Check out Fright Haven, a local haunted house attraction conveniently located in Stratford. This thrilling experience has three different haunted houses to choose from: a demonic carnival, a terrifying mental institution, and a possessed mansion. All three are guaranteed to get your heart racing! Fright Haven offers group discounts when a group of 10 purchases tickets in advance, which is perfect for the college student ~eternally~ on a budget. So, gather your friends and get ready for some ghostly fun! Who doesn't love an old abandoned mental hospital, am I right? Fairfield Hills opened its doors in 1931 to treat the criminally insane with grueling treatments hidden from the public eye. It closed in 1955, drawing attention to the location. Due to Fairfield Hills’ dignified appearance, the asylum was flooded with paranormal investigators and adventure seekers looking for supernatural occurrences. In 2009, the town of Newtown gave the land a facelift by renovating buildings, cleaning up, adding hiking trails and sports fields, and making the land a public park. If you're looking for something exciting and new to do this weekend, visit the Fairfield Hills Asylum park and take in the chilling scenery. But be wary of any unexpected ~ghosts~ you might see along the way. Last but not least is our very own Fairfield University. I know what you’re thinking, “It better not be my dorm.” For those of you living in Dolan Hall, I’m sorry to say you might have some ghostly neighbors. According to an article published by The Mirror in 2007, Ed and Lorraine Warren visited campus to investigate Dolan Hall, and Lorraine was “drawn to” a certain area of Dolan which she believed was haunted by a nun who once resided in the old convent for the Sisters of Notre Dame. For years students have claimed that Dolan Hall is haunted by a spirit, but that doesn't matter. Ghosts don't exist, right?